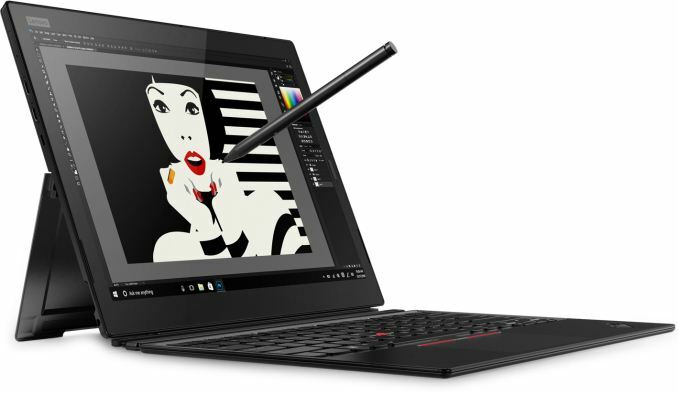 LAS VEGAS, NV — Lenovo has announced its third iteration of the ThinkPad X1 Tablet. 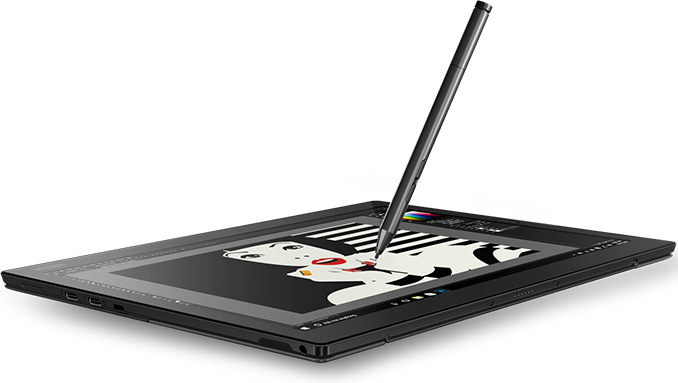 The new system is a complete departure from the two prior generations of the ThinkPad X1 Tablets as it uses fully-fledged Intel’s Core i7 CPUs instead of their low-power Y-series counterparts, has a large 13” display, two Thunderbolt 3 ports and no longer supports expansion modules. The most noticeable upgrade of the Lenovo ThinkPad X1 Tablet 3rd Gen when compared to its predecessors and direct rivals is, of course, its 13” IPS touchscreen that has a 3000×2000 resolution (thus retaining a 3:2 aspect ratio) as well as 10-point multi-touch and pen support. The larger display with a higher resolution and pixel density vs. competitors (primarily the Surface Pro 2017) will certainly be among the main selling points of the new X1T. The improvements do not end here. Just like the other ThinkPad X1-branded mobile PCs announced at CES 2018, the ThinkPad X1 Tablet is based on Intel’s 8th Generation quad-core Core i7 CPU with integrated UHD Graphics 620 iGPU. The new SoC is a major progress for the new ThinkPad X1 Tablet. The previous-gen ThinkPad X1T featured a Kaby Lake-Y SoC with two cores and an iGPU running at relatively low frequencies to save power. By contrast, the new SoC packs four cores and faster graphics, a performance boost across the board. Unfortunately for graphics professionals seeking for a higher-performing iGPU, there will be no X1Ts with the Iris Plus Graphics 640 found inside Microsoft’s premium Surface Pro 2017 as there are no Intel’s 8th Gen Core i7 processors with a GT3e-class iGPU. 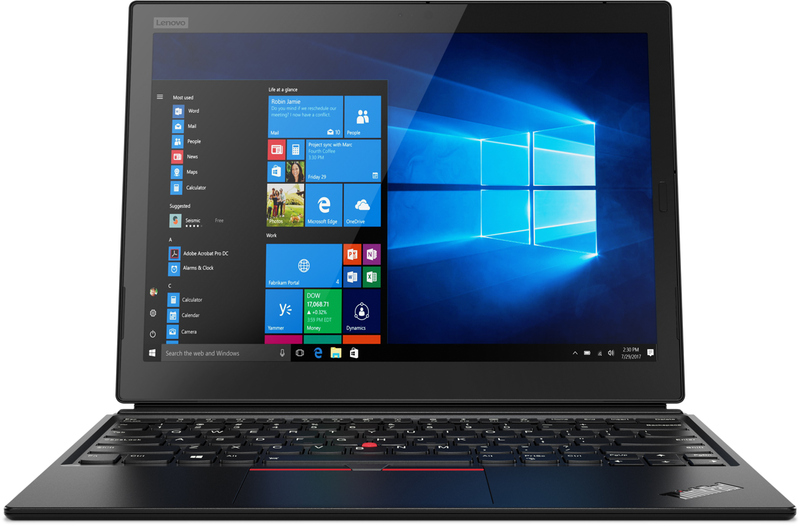 As for RAM and storage, the ThinkPad X1 Tablet can be equipped with up to 16 GB of LPDDR3 and a PCIe NVMe SSD of up to 1 TB. Moving on to other hardware features of the third-generation ThinkPad X1 Tablet. The system ditches USB Type-A headers but has two Thunderbolt 3 ports (one supporting USB PowerDelivery 3.0 spec), a microSD card reader, a webcam (with or without IR capability for Windows Hello), a rear camera, and a TRRS headphone jack. As for wireless connections, the new X1T has an Intel 802.11ac Wi-Fi + Bluetooth 4.2 module as well as an optional Sierra Wireless EM7455 or EM7430 LTE-A CAT6 modem. None of the new X1T SKUs will feature WiGig technology. In addition to WiGig support, Lenovo is also ditching support for expansion modules used by the first two generations of the ThinkPad X1 Tablets. Since the mobile PCs now have two TB3/USB-C ports, it is doubtful that Lenovo’s users will have problems finding expansions relying on these interfaces. Some customers might miss the productivity module containing an extra accumulator along with a USB Type-A connector, but 9.5 hours of battery life claimed for the new X1T by Lenovo is a lot for a tablet anyway. Major performance improvements along with the larger display affected dimensions and weight of the new ThinkPad X1 Tablet. Obviously, the new slate got a bit bigger than its predecessor because of its 13” LCD, but it remained pretty thin in general: its thickness is 8.9 mm, up only 5% vs. the X1T 2nd Gen (which was 8.45 mm). Meanwhile, the new tablet now weighs 890 grams (1.9 lbs), up 16% from 767 grams (1.69 lbs) of the predecessor. While 0.45 mm is not a big deal (especially considering how much extra performance you gain with the new unit), additional 123 grams do not look like a good deal here for those who plan to use the X1T 3rd Gen as a tablet. 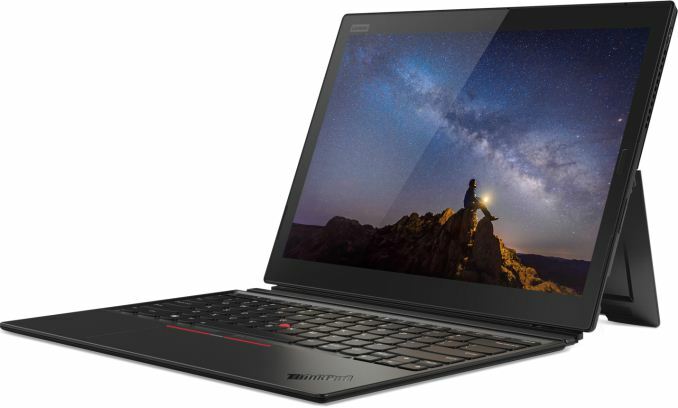 Moreover, the whole system weighs 1.27 kilograms (2.79 lbs) when the keyboard is added, which is higher than the weight of the new ThinkPad X1 Carbon that has a bigger and, presumably, brighter display. 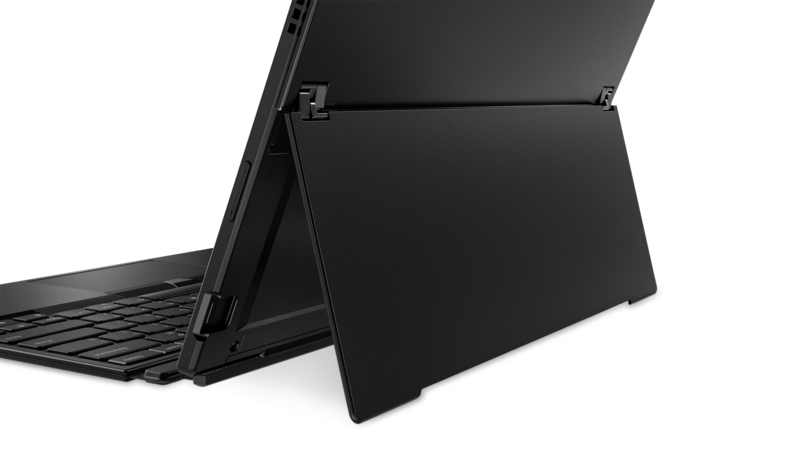 To compensate for the higher weight and larger dimensions as well as to make the whole system a bit more stable when used in laptop mode with a stylus, the latest X1T has a new kickstand that looks stronger than its predecessor. 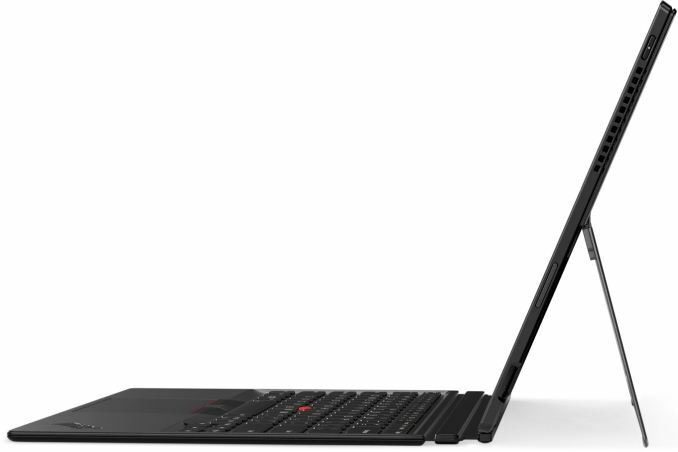 Width 304 mm | 11.45" 291.5 mm | 11.4"
Height 226 mm | 8.24" 209.5 mm | 8.2"
Thickness 8.9 mm | 0.34" 8.45 mm | 0.3"
Lenovo’s ThinkPad X1 Tablet 3rd Gen will go on sale this month and will cost starting from $1599 with a keyboard and a pen included. The detachable keyboard cover looks like it uses the same thing as Surface Pro. Wow, you are a true optimist. HDR support in Windows is in its infancy, and really quite bad. HDR laptop display panels are exceedingly rare, and probably nonexistent below 15". Not to mention that the high brightness requirements of HDR would kill battery life entirely. I'd say it's at least two years until something like that is feasible.